Buses are in high demand in New York, but some people only need them for a month or two out of the year. If you're looking for a bus to use long or short term, National Bus Sales is here for you. We have many New York bus leasing and rental options that you can choose from, with flexible payment arrangements to suit any budget. No matter what you need your bus for, we can accommodate. National Bus Sales offers the best bus leasing and rental options in the country, period! On our lot, you will see everything from Starcraft, to Federal Coach and Glaval, with passenger capacities as high as 84 people. We have buses with special features, like A/C, lifts, audio/video and reclining seats. Tell us what you need, and we will find a bus for you. National Bus Sales offers monthly and yearly bus rental and lease contracts for New York, depending on how long you need to use your bus. 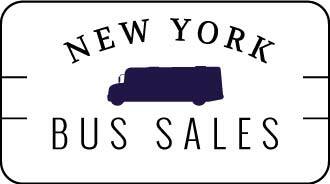 We have TRAC leases, lease purchases, operating leases, and much more for our customers in NY. 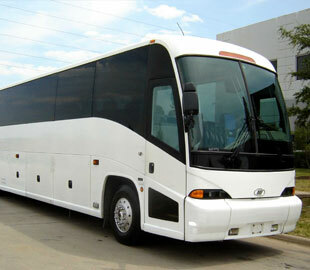 We also offer delivery for the buses we rent and sell. To complete your contract with us, you will need to put a security deposit on your contract. You will also need to have a $2 million liability insurance policy on the bus and a properly licensed driver to operate the bus. If you would rather buy the bus you want, we can work out a loan so you get your bus right away. 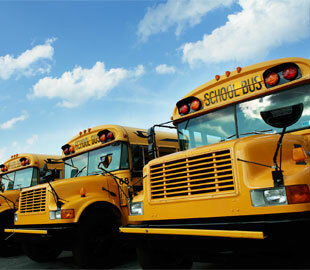 We have many bus financing programs in New York that could easily get you into the bus of your dreams. Check out our new and used buses for sale, and then fill out a credit application here on our website for financing. We have multiple lenders that can work with you. All of our buses are fully inspected before we send them out to rent or lease. You can trust that the one you get will be safe and reliable. Contact National Bus Sales today @ 800.475.1439 and we will come up with a plan for you.